1. My monthly wastewater bill is higher than my monthly drinking water bill. Why is that? The cost for wastewater service is higher than the cost of drinking water service because the quality of effluent discharged to the Arkansas River is required to be similar to the quality of drinking water, but the water we start with in our wastewater treatment process is much dirtier. As a result, the wastewater treatment process incurs higher costs for electricity and treatment chemicals. Wastewater contains high concentrations of organic matter and inorganic matter, as well as microorganisms that can transmit human diseases. Chemically, this mixture is termed a “complex matrix.” The wastewater treatment process is controlled by a discharge permit that sets specific numeric limits on such materials as nutrients, suspended solids, and heavy metals, as well as on surrogate measures like biochemical oxygen demand and whole effluent toxicity. The most demanding aspect of wastewater treatment is extracting dissolved organic material from water. This is done using living bacteria. Wastewater treatment entails growing different types of bacteria in large tanks, allowing the bacteria to grow by taking up various materials from the wastewater, and then removing the bacteria prior to releasing the reclaimed water. Growing the different types of bacteria requires controlling the amount of oxygen available in different stages of the process and recycling living bacteria to maintain the process. The treated water that is ready for discharge must be disinfected to kill any remaining microorganisms that might cause human disease. This is presently done using ultraviolet disinfection. Those bacteria that are removed from the treatment process, as well as solid materials in wastewater, must be further treated by a process called anaerobic digestion to reduce the mass of the final residue, which is disposed of by landfilling. Finally, please note that wastewater flows to our facility continuously. We are required to accept and treat whatever volume is generated, rather than being able to control timing to make the process more efficient. The process of drinking water treatment is simpler by comparison. Pueblo’s drinking water treatment plant uses water from the Pueblo Reservoir, which is fed by the upper Arkansas River. The Pueblo Reservoir acts as a very large settling tank, removing many solid materials. Natural bacteria in the reservoir also scavenge dissolved carbon from the water for their growth processes. Thus the water entering the drinking water treatment process is much cleaner than wastewater. Chemically, the mixture is termed a “simple matrix.” Drinking water treatment is a chemical process rather than a biological process. Chemicals are added to raw water that cause dissolved inorganic materials like metals and salts to clump together, and the chemical sludge is removed. The finished water is disinfected and stored until use. There is no need to remove the disinfectant chemical. Drinking water treatment facilities use historical trends in water usage to keep ahead of demand. During the summer irrigation season they supply a great deal of water daily; during the winter months they produce much less, needing only to keep pace with the needs of cooking, cleaning, and sanitary disposal. Pueblo’s wastewater user charge has two components. There is a fixed monthly fee that funds the City’s maintenance of the wastewater system including sewer pipes, pump stations, and the Water Reclamation Facility. There is also a volume charge that accounts for the amount of wastewater generated by users. For residential households, the volume charge is based on winter water usage when outdoor uses of water are expected to be at a minimum. The residential winter water volume usage is assumed to represent the volume of water that goes to the sanitary sewer system via household drains throughout the year. It eliminates large-volume outdoor uses for irrigation, washing cars, etc. This is the most common method of assigning volume charges for wastewater throughout the nation. 2. Who do I call in the event of a sewer emergency? Whenever you have problems with drains that are slow or do not empty, call the City first. 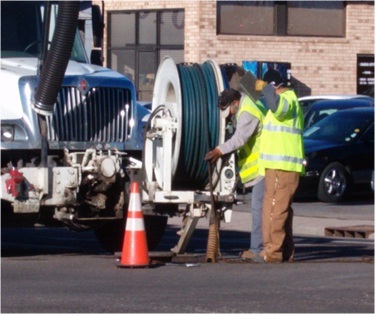 The City maintains standby crews that are available to check for blockages in the City’s sanitary sewer main 24 hours per day, including weekends and holidays, at no charge to you. The City’s standby crew can check the City main and, if necessary, clear a blockage. If the City main is blocked, sewage could back up into your home. It may be possible to eliminate this problem, or at least minimize damage, by calling the City first to clear the City main as fast as possible. If the problem is not in the City sewer main but in your household plumbing, the City crew will advise you so you can contact a plumber. Plumbers usually cannot clear blockages in a City sewer main. In addition, the Wastewater Department is not able to pay you bill for calling a plumber if the problem turns out to be in the City main. Please call the City first. 3. Who is responsible for maintaining my sewer service line? 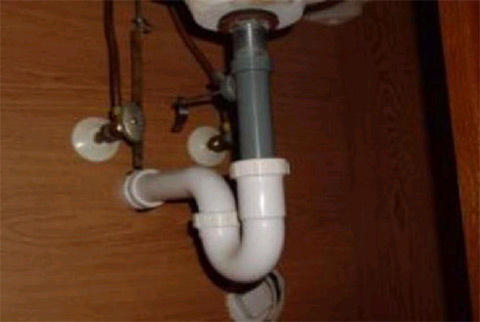 Homes and businesses are connected to the City’s sanitary sewer system by a pipe called a service line, a service lateral, or a building sewer. The point at which the service line connects to the City’s sewer main is called the sewer tap. Section 16-3-8 of the Pueblo Municipal Code states that the home or business owner owns both the service line and the tap. The home or business owner is solely responsible for the cost of maintenance and repair of the sewer service line and the sewer tap. Sec. 16-3-8. Ownership and responsibility. Owners of properties served by sanitary sewers shall own all of the service lines or building sewers that connect structures on the property to the public sewer, including the tap itself. Property owners shall be responsible for maintaining, repairing or replacing service lines and building sewers at their sole expense. City code requires that any person operating a facility in which grease-laden waste is produced must be part of the City’s Grease and Oil Management Program. Water in the basement is always a concern when we receive a large amount of rain or snow. For many homeowners, the first line of defense is a sump with a pump in it. The water that drains into the sump must be removed, and this accomplished with a sump pump.